Ryan Gosling plays astronaut Neil Armstrong in his new film First Man, but he proved he's pretty down to earth at the Toronto International Film Festival on Tuesday. 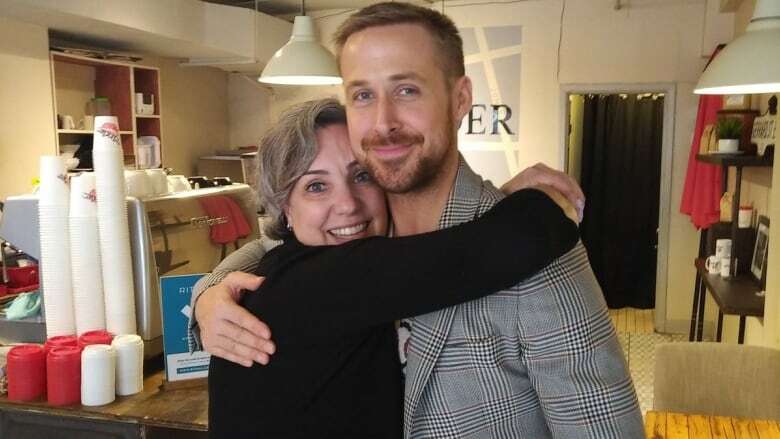 Grinder Coffee owner Joelle Murray said the London, Ont.-born movie star turned up mid-afternoon to say hello and greet patrons, despite the fact her east-end cafe is a 20-minute drive from the main festival strip. "I pounced upon him with pure love and admiration," Murray told CBC Radio's Here and Now. "He was an incredibly great sport." That promise faded away, Murray said, when she saw Gosling pull up. "I was so giddy that I forgot my quest to make money and I went: 'Of course you can have a free cup of coffee,'" she explained. Murray added that Gosling told her he had seen the tweets and found them "humorous," but that it was his mother who told him to visit.